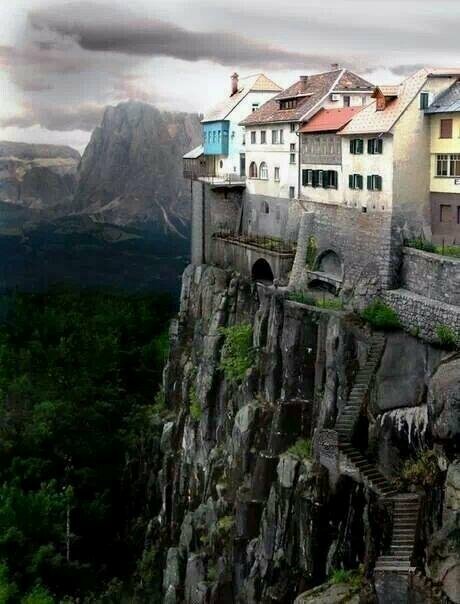 Is this is a real photo of houses on hills? That is a photoshop job based on the photograph of the Capuchin bridge across the Sora river in Škofja Loka, Gorenjska, Slovenia. (source: Wikipedia).